Last weekend was a busy one filled with preparations for my daughter’s prom, meetings with wedding vendors, and my media related duties. Not that I am complaining, because I had the pleasure of ending the weekend on a very high note by attending the Lisa Nicole Cloud “Fashion for a Cause” charity event and fashion show, featuring Lisa Nicole Cloud spring/summer 2015 collection. The Lisa Nicole Collection is an affordable high fashion collection of sleek functional designs which exude power, class and sophistication for the millennial business woman. The evening of fashion took place on Sunday, May 31, 2015 at the Broad Street Ballroom in NYC. This charity event hosted by Lisa Nicole Cloud, star of Bravo's “Married to Medicine” and her husband Dr. Darren Naugles, immediately followed her WEN Experience New York launch - which took place the day before. In spite of the pouring rain, guests arrived looking fabulous for runway fashion, live auctions, entertainment, power networking, cocktails and hors d’ oeuvres - all while raising money for a great cause. The well attended event sponsored by Married to Medicine, Bacardi, Grey Goose Vodka, 5Linx, UpTown and MD for Dr. D; is a philanthropic effort in partnership with Medshare to benefit the “Love and Serve" Haiti mission. Funds raised from the show (including auction, and sales from the onsite sales of the Lisa Nicole Cloud Collection) will send $250,000 in medical supplies along with 12 physicians on a medical mission trip to Haiti in November 2015. Of course, you know I couldn’t attend such a fashionable evening without looking all fancy and lady-like myself. So I rocked a beautiful dress provided by Versailles in Brooklyn, and heels along with some bling. It was a beautiful and relaxed Sunday evening sipping on great cocktails, socializing, and enjoying absolutely amazing designs, in addition to raising money for a great cause. Besides the wearable and beautiful designs by Lisa Nicole Cloud, and feeling like a celebrity with all the photographers wanting to capture the beautiful piece of art I was wearing; one of my favorite moment was during the auction. Particularly, the bidding war between two guests in hopes of walking away with the Beyonce signed plaque. 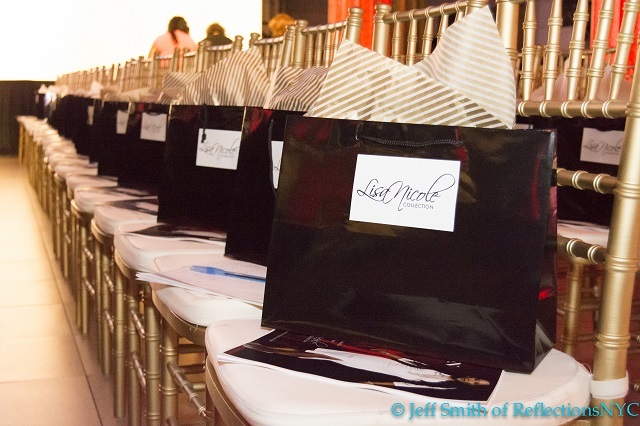 On a whole I would say the Lisa Nicole Cloud Fashion for a Cause charity event was a great success! To support the Medical Mission Trip to Haiti in partnership with MedShare, text Donation to 55469, click on the hyperlink in the message and select “Click Here”. Scroll down to the option to “Make a Tax Deductible Donation to Medical Mission” and enter the amount you would like to donate.